Andrew Chester: Vocals, Rhythm guitar. The genre-busting Hulio Ridiculo hailed from Urmston, Manchester with the exception of keyboardist David Luke (Longridge, Preston). The band were part of the post Madchester scene of the early 90’s playing Manchester venues such as The Boardwalk, the now iconic Band on the Wall and the then newly opened Roadhouse. ‘Hulio’ developed somewhat of a cult following, particularly amongst musicians who appreciated the bands musicianship and approach to song writing. Their music was not easily pigeon-holed, with influences ranging from Frank Zappa to Carole King, ‘Les Miserables’ to Paul Simon; along with film score composers Gabriel Yared and Lalo Schiffrin. Several compositions would veer from timeless melodies into a music hall stomp, with dead stop tempo changes at break-neck speed. This was perhaps best illustrated on songs such as ‘Fever’, ‘Gullibles Travels’ and the instrumental ‘Coccozza Wood’. The band recruited a 3-piece brass section for some of their later gigs bringing the talents of Richard Longden (tenor sax) and John Hulme (trumpet) into the Hulio fold. The song writing talents of Smith & Chester could also turn their hand to more straight ahead songs and gigs would also be peppered with more accessible numbers such as The Squanderer, Things that Bother Us All and Back on Dry Land. The band were courted by several of the major labels of the time including A&M and E.M.I., but greater interest came from closer to home in the shape of Factory Records. Head of A & R Phil Sachs was a big fan, but Factory was in flux, about to go bust and be bought out by London Records. The majors weren’t convinced by Hulio’s all encompassing style, the band effectively defied categorisation and therefore didn’t fit into the usual marketing brief of a major label. Consequently, the band peaked, the deal never came and the usual rock ’n’ roll tale of uninspired management and poor decision making ended in disillusionment. Hulio Ridiculo played their last gig at The Roadhouse in 1995. After Hulio’s demise and several band changes Andrew Chester & Rodney Smith went on to sign for Creation Records as part of One Lady Owner releasing the ‘There’s Only We’ album in 1999. Chester later went on to form My Computer with former Hulio band mate David Luke releasing two critically acclaimed albums, Vulnerabilia in 2002 and the John Leckie produced No C.V. in 2005. 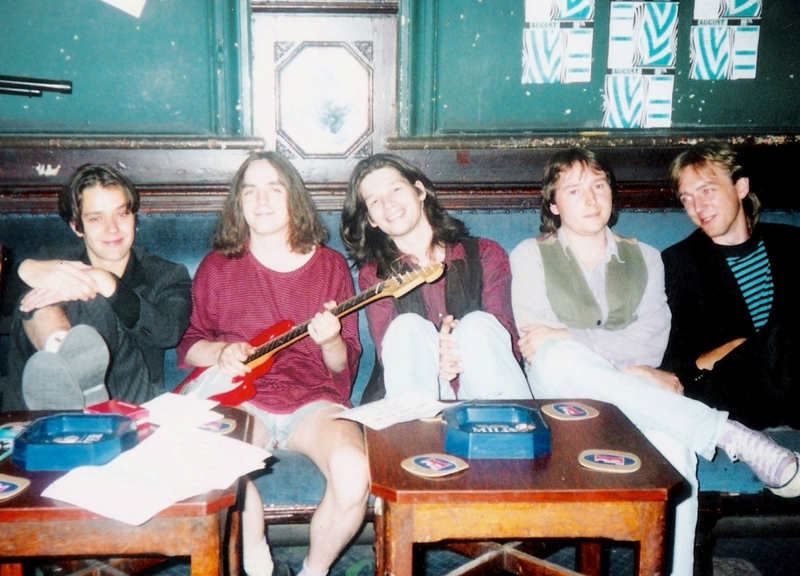 Drummer Ian Bamford & bass player Adam Speakman joined Manchester indie rockers The Stealers, touring briefly as support to Audioweb in 1996, and later formed the acoustic based Moore Marriott, switching to guitars to pen their debut album Back Up & Bounce in 2005.